Our video collection provides a little insight into some of the programs & services that we offer our clients. We hope you enjoy them and they inspire you to contact us and help us plan your DOWNBELOW ADVENTURE in Sabah ! Because the weather in Kota Kinabalu, Sabah had been so spectacular for a while bringing calm seas, our premier PADI 5 Star IDC Dive Centre decided to take advantage of it by taking a trip to the Usukan Bay WW2 Japanese Wrecks for a day of diving! 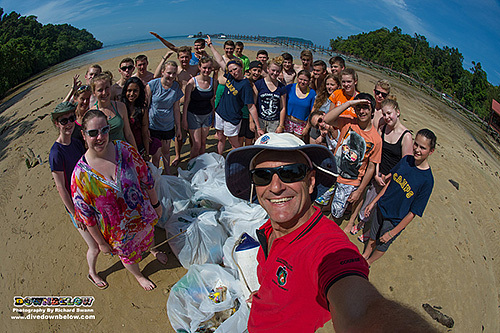 Over the course of 2 months (July and August), we hosted a group of 312 students with Camps International from 12 various British secondary schools to learn the sport of scuba diving and gain appreciation for the natural marine & wildlife biodiversity. This is a short film of a recent visit by the University of South Wales UK. This trip formed part of the students BSc International Wildlife Biology Degree. 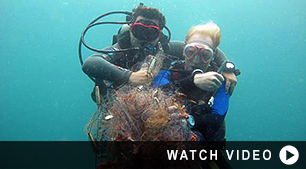 Participants learn field skills for under water scientific studies & participate in environmental cleanups! 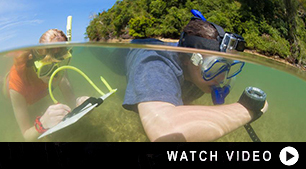 Live Like Downbelow & enjoy PADI Discover Scuba Diving! We work hard and we play hard too ! On our days off we enjoy taking part in the activities that we offer to our clients. Making us true local experts 🙂 We also have a huge amount of fun ! What is diving like in Tunku Abdul Rahman Park? 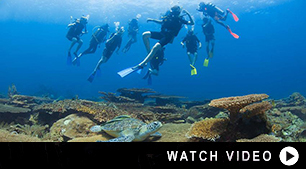 A common question is ‘What is the scuba diving like in Tunku Abdul Rahman Park?” This video shows a dive at Sulug Island within TARP. 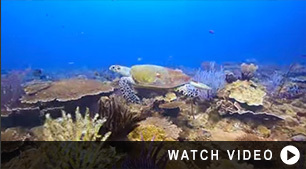 Join us for an underwater adventure as we dive at Adik reef with the Dive Downbelow crew. 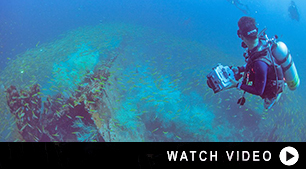 This Rescue excersise #7 Unresponsive Diver on the Surface workshop film has been made by the Downbelow 5* IDC Dive Centre GoPro instructor development team featuring PADI Platinum Course Director Richard Swann. 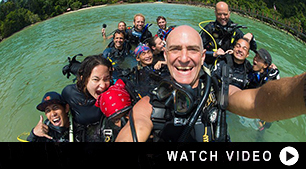 To show you how much fun it is to qualify as a PADI Instructor, we created a video of our November 2014 Instructor Development Course. Every candidate successfully completed and passed the required professional dive training to start living their diving dream! 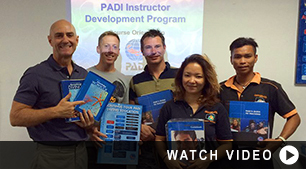 In September 2014, candidates Andy, John and Cindy deliver knowledge development presentations on dive theory and all things SCUBA for their PADI Instructor Development Course to qualify as Dive Instructors! 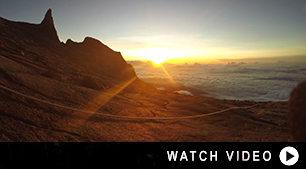 Mount Kinabalu challenge with Downbelow! Our travel centre consultants at our Downbelow HQ experienced our 2D1N climbing package to reach Low’s Peak on Mount Kinabalu, as well as the one of the toughest challenges in all of Sabah… descending on the Guinness World Records’ highest via Ferrata at 3,776M! 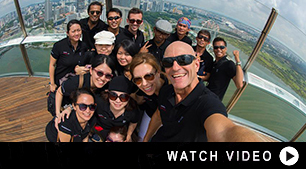 The most epic #LiveLikeDiveDownbelow experience we’ve ever had: Expedition Singapore 2014! In November, for 3 days and 2 nights, fourteen of Downbelow Marine & Wildlife Adventures’ long-term staff team explored the best of Singapore City! 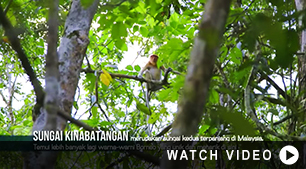 Henry immersing himself in the nature – the majestic Mount Kinabalu, Desa Cattle Dairy Farm, Sepilok Orangutan Rehabilitation Center, Bornean Sun Bear Conservation Centre, Gomantong Cave and Kinabatangan River. Experience the best of Sabah with Downbelow today! 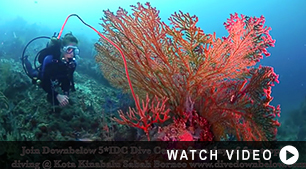 Our Dive Shop Supervisor Karen shows us around our Downbelow Dive Shop, Kota Kinabalu! Many choices, which is why Karen will advise what products are best for our clients needs. Keep up-to-date with our product reviews as well, for details on new arrivals! Visit us online as well. 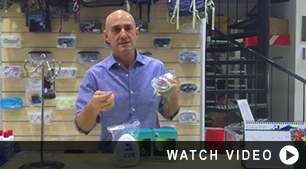 Resident Platinum Course Director and Managing Director Richard Swann introduces the benefits of our Downbelow Dive Shop’s pocket mask dive accessory for the Go PRO internship candidate! Visit us online as well. 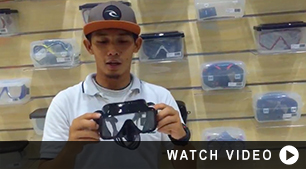 Our GoPRO Team member and instructor, Pablo, introduces one of his favourite masks – Scubapro’s frameless mask! Visit us online as well. Once again the Downbelow 5* IDC Dive Centre team show their commitment to the environment by removing yet another ghost net from the reef. Over the years we have removed more than 150 from the reefs of TARP Kota Kinabalu & we will continue to do so as we find them! We are a conservation-minded company. 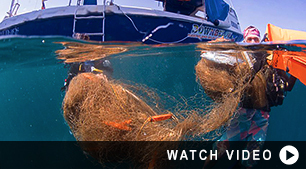 Ghost Net Removals play an important role in our commitment to marine conservation. When we find them, we remove them! 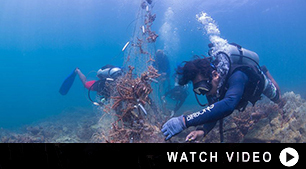 In January 2013 the Downbelow team stumbled upon a massive discarded net within the protected area of Tunku Abdul Rahman Park. The Downbelow team are really passionate about conservation so we quickly assembled a team made up of crew and interns to remove the death trap.